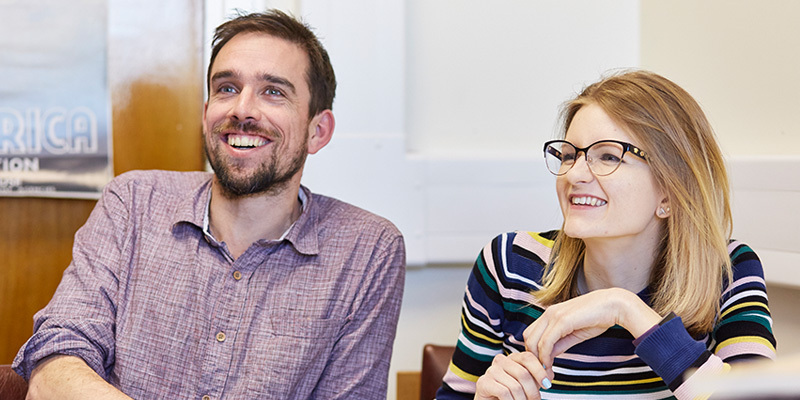 As a postgraduate researcher in the School of Languages, Cultures and Societies, you’ll be welcomed into a relaxed and friendly research community where we support and inspire each other throughout our academic journey. Your wellbeing is very important to us, which is why we have experts on campus who can provide regular assistance to support you through your PhD. You’ll benefit from a range of opportunities and services available to you, helping to support your studies and enhance your careers prospects. There are four libraries across campus and the postgraduate research hub in the Edward Boyle Library has group and social spaces to encourage interdisciplinary discussion and collaboration, as well as plenty of individual study spaces. You’ll also have access to the Library’s researcher support programme, which will show you how to make your research more visible. You'll develop skills in searching for literature, whilst learning about copyright issues for PhD and more. As a research student, you’ll have access to the Faculty of Arts, Humanities and Cultures Graduate School. You'll also benefit from the support of staff in your School PGR office, who can assist you with any specific queries you might have about your candidature; from funding payments and extensions to training opportunities and graduation. The Leeds Doctoral College provides additional enhancement opportunities available to you as a postgraduate researcher, including training and development programmes, events and seminars. Leeds University Union and the Language Zone offer the ideal opportunity for you to meet people from across the University and take a break from your research. There are a variety of clubs and societies, or you could even meet up with a language exchange partner to practice a new language. The Union also organises a number of social activities especially for postgraduates, such as pizza and film nights, walks, and even garden therapy.